A bogus barrister has been jailed for over two years after lying about his legal qualifications in order to secure pupillage and pursue his “dream career” at the bar. 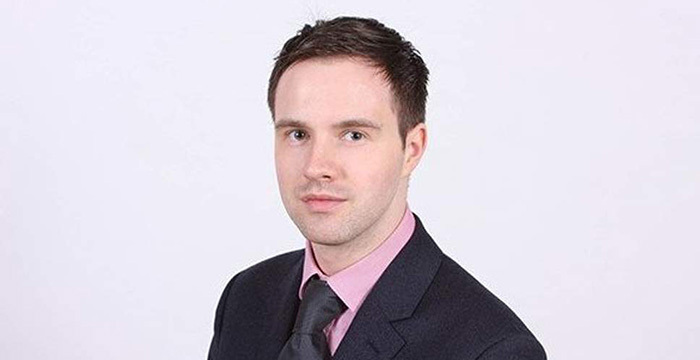 Scott Willey landed a training spot at 4 Brick Court, a London set specialising in family law, in the summer of 2016 after creating an “impressive, yet fictitious, CV” which showed he’d completed the Bar Professional Training Course (BPTC) at City Law School and was due to be called to the bar at Middle Temple later that year. However, Inner London Crown Court heard how the 27-year-old lied about his academic credentials to “cover the fact that he was unqualified for his ‘dream career'”, the Evening Standard reports. Middle Temple confirmed Willey was only a student member of the Inn, while City Law School said he had failed to complete the year-long vocational course. Willey, who fraudulently received a pupillage award of £16,000 and a further £757 in travel expenses, “worked on 18 cases”, including appearances in 22 family hearings, according to the report. After chambers’ bosses were unable to find a bar practice registration number for Willey, the bogus barrister created a “convincing looking” email which indicated he was provisionally registered by the Bar Standards Board (BSB). The email was forwarded by chambers to the regulator, which confirmed it had sent no such email. The court also heard how Willey had been diagnosed with a neurological tumour in 2008. However, the growth was no longer there in May 2018 when he told chambers staff it had “returned and was growing”. The wannabe barrister eventually confessed to having not completed the BPTC after 4 Brick Court barrister, Ian Griffin, brought the BSB’s response to Willey’s attention. The fake barrister, who was arrested in June of last year, also admitted accessing a colleague’s email account and supplying false details. Willey was jailed for two years and three months after pleading guilty to three counts of fraud by false representation, one count of making/supplying an article for the use in fraud, one count of falsely implying to be a barrister and one offence under the computer misuse act. 4 Brick Court declined to comment. You have to have some sympathy for him. He enrols on the BPTC, which is a notoriously expensive course. He is awarded a scholarship by an Inn of Court. He then, no doubt to his absolute delight, secures pupillage. He works his way through the BPTC exams, which are not easy. Given the timing, he may have failed an exam where the results for the resits would not be out before the start date of his pupillage. He has come so close, and then lost everything. How easy it would be to keep quiet, start pupillage, and hope nothing is discovered. He starts the pupillage, and realises that he will eventually have to register the pupillage. Panic sets in. A certificate is forged. The deception continues. The thing that really surprises me in this case is that it took until his second six for the deception to be uncovered. He would have had to register his pupillage at the very start of his first six, which would have been a perfect opportunity for the regulatory authorities to uncover the fraud. Why did this not happen? Instead, the deception continued until the second six, by which time members of the public had been put at risk. There are surely lessons to be learned here. Oh, and poor shirt/suit combo. I can kind of see how that lie got out of hand and just grew and grew and dug a deeper hole – I just dont understand why he did not re-sit and at least pass the bptc at any point? or maybe that was what he was planning on doing? This has happened enough times that Chambers should at least check with the Inn (who receive BPTC results direct from the BSB) that a person is really a Barrister. I have some sympathy but, come on, if he got pupillage on/before the BPTC (which he did without lying) surely he could have owned up and just applied again next year! Hey! This kid stole my idea! That is totally bogus, man. You’re not a fraud, Scott. You just never finished law school. Two years and three months in jail for this!!!! The feeble-minded cretins. Everyone polishes their CV and , if they don’t, they are idiots. It takes some serious balls to do this. Give the man a pupillage. Skinny middle class white boi like that is going to get eaten alive in prison. You clearly aren’t if you think someone dressed like this man could be. I’ve never been asked to supply any of my credentials to anyone, even once (though I have them in case anyone wants to see them, and will hand them over on request, I hasten to add!) It’s all taken on trust. As such, the Bar is probably one of the easiest professions for charlatans and fantasists to infiltrate, undetected. I’ve no idea what you mean. No charlatans here, honest. Fantast! I’ve always wanted to be a barrister. Can I borrow your credentials for a couple of years, just while I establish a following? I think the reality is you have but you don’t remember because it’s a relatively insignificant paper exercise. Your A-levels are checked by UCAS to get into uni. You will have needed to evidence your law degree to get on the BPTC (BVC). You will then have had to evidence your BPTC (BVC) to get called and to get the relevant registration details to obtain your full practising certificate. This guy was actually caught! This case exposes the fact that that getting a provisional practice certificate at the start of second six can be done without having completed the BPTC. The tragedy about this is that passing the BPTC is so much easier than getting Pupillage; he should have completed the course. What I would say is the mooting, minis, time spent volunteering on death row in America 🙄 and your A-levels and degree classification are not routinely checked by Chambers offering Pupillage. Albeit you will need to have completed the BPTC to get your practising certificate. This is an area where people can cheat the system and get away with it (at their peril). As calls to the Bar are published in The Times, it’s very easy to check whether someone has been called. what red flags did his bosses get to even start checking his qualifications? was he inconsistent with his lies? They have to register the completion of first 6 with the Bar Council so presuming that’s why the issue with no Membership No. came up. Can’t remember having to show anyone my credentials at all. – Where did he do his undergrad in law / gdl? This is the tie he wore to his legal career’s funeral. If somebody can get pupillage without having studied the BPTC, it suggests that the course is in fact completely pointless. Same goes for the LPC. Think he did study it. He just didn’t pass it. If you’re going to defraud your way into a job, at least do it for something that pays more than £16k a year. But don’t they give those to just about everyone that can string a sentence together? Two factors here: he put members of the public at risk and also importantly deprived a student of a Pupillage opportunity. Had he been a woman he would have got community service. And not much of that had he been a mother. I reserve the right to physically assault those who metaphorically assault transpersons by being transphobic. And don’t reply, downvote or report because you are not ALLOWED to disagree. Being white in front of this judge probably didn’t help him either. The tie knot and colour combo scream “estate agent” – should have set off alarm bells. You people probably think I’m joking too. No, you are totally right. I have found that instantly judging on how someone dress just saves so much time. Judge on shoes, watch, dog and wife. In that order. You realise that everyone has to do the bptc right? Isn’t the BPTC a piece of cake? It was a comedy year to get used to the Tube and know where to find decent pubs and dealers. When I was applying years ago I know loads of people lied about being ‘Experienced Level’ FRU reps. Most had made the training day or taken out one case. I don’t know a single person who was ever caught or questioned about this by their chambers. Yeah that’s standard. But the point is that it’s a manageable lie. 1. Experienced level is part objective but part subjective. 2. The people at FRU don’t like talking to other people, so you know full well the lie will never get properly checked. Agreed. ‘Experienced Level’ cases are CICA, Upper Tribunal or harassment/discrimination cases. Interesting to see this is still so widespread. Perhaps some people lie because they don’t feel happy in the office to undertake more cases? Kudos to them for getting out and choosing to do other things with their time. No-one was ever denied a pupillage because the other candidate’s voluntary tribunal work trumped poor academics. Hard to believe he was that arrogant to think he could get away with it. Failing to pass the BPTC in one year is a set back for most people not a path to prison. I don’t see clients being putting at risk. He successfully completed LLB/GDL. He got a scholarship from Middle Temple for BPTC. Flunked some BPTC exams (everyone knows BPTC is a joke). Presumably he received pupillage offer during BPTC (and therefore not fraudulently obtained). Received training during pupillage. It’s just the BPTC exams that are the issue here. BSB are in the process of abolishing the BPTC., future barristers won’t even sit these exams. Fair enough he clearly had been dishonest in covering his tracks and should be punished. But 2+ years of immediate prison sentence for this is very harsh. Should have got community order or suspended sentence. So…it’s the exams’ fault for being too hard for him? That’s a slap in the face to all who studied hard to pass them. No. The exams are not hard. They are silly and often fairly arbitrary marking. Any clown should be able to pass. I have no idea why this guy didn’t pass it. The point is simply that BPTC is soon to be abolished and no one at the Bar really takes it seriously. So that fact that he was practising without having passed the BPTC is hardly major cause for concern. The real issue is that he was dishonest. Whilst this guy should have been punished, two years in prison is pretty ridiculous. Yes, “whilst”. This is not America. Be off with you, cad! Do expand your analysis, kind sir, as I am always keen to learn. I studied English at Oxford, so I am surprised to discover my linguistic attainment is “retarded”. I like “whilst” it is right and it annoys the ignorant. Stop digging, you ignorant peasant. It is funny, but we are laughing at you, not with you. The problem is always the covering up of the lie rather than the lie itself. Clearly his chambers had absolutely no sympathy for him. They may have had sympathy, he may be a nice / affable chap – but even so, there is nothing his Chambers can do for him if he has not met a minimum requirement of completing and passing the BPTC satisfactorily. Perhaps this is a story of a guy under immense academic, professional pressure. Just sad he did not take the BPTC failure on the chin, take a year out – pass the exams, and then re-apply for pupillage. I am sure he would have been successful. In the year out – he could have even worked somewhere useful and built up a CV, built up some contacts and earned some money. Not to mention travel on a decent holiday once the exams are over. People like this do exist and do not get caught. They test the system, see how weak it is, and they play it. The SRA allow so much of this to go on unchallenged. Many moons ago I appeared before various magistrates supposedly initially as a McKenzie, but my client was too daft to represent herself. I then went on to do her bail spp, appealled her POCA successfully and exonerated her in a drugs matter. No one checked anything. They assumed I was her solicitor by my suit mostly. All I had was half an LPC and no idea what I was doing. And now you’ve passed the LPC, been in practice as a solicitor for several years, met many clients and handled loads of cases. And you still have no idea what you’re doing. the last two comments are the most down to earth ones! some others are really twisted, in a bad way.